Announced on July 30th, Youzu Interactive has signed an agreement appointing former Sony President and CEO Nobuyuki Idei as consultant serving as a one-man "think tank" for the firm during the implementation of its global deployment strategy. At the signing ceremony, Youzu Interactive's Chairman & CEO Lin Qi said that the global economic revolution over the next one or two decades will be driven by young leaders from Asia, while, to realize the revolution, younger business leaders will need guidance from globally well-known and outstanding entrepreneurs such as Nobuyuki Idei. Nobuyuki Idei is one of the most highly reputed business executives in Japan. He was chiefly responsible for Sony's global expansion, yet was also one of the most controversial executives in the history of Sony. He has the reputation as a traditional entrepreneur who knows internet better than any of his peers in Japan. He established Quantum Leaps Corp., a sci-tech consulting firm and acted as its CEO, after leaving Sony in 2005. Idei said at the signing ceremony that he is quite familiar with China and bullish about the Chinese market and capacity that Chinese firms have for innovation and development. He served as a member of the advisory board at Tsinghua University's School of Economics and Management for several years, and successively served as an Independent Director at Baidu and a Non-Executive Director at Lenovo. The global vision of the dynamic Youzu.com and its strong global deployment capacity were both factors that were appealing to Idei and led to his accepting the position. Idei said that businesses in China are confronting an important period of transition with many entrepreneurs flush with money but lacking in ideas for development. He feels that it is the younger business leaders who will lead the trend. He said, "I feel lucky to know Lin Qi. He is a man with great potential." Lin Qi was recently named one of the Best Ten Asian Young Business Leaders by Wealth-X, the global authority on wealth intelligence. Born in the 1980s, Lin Qi is one of the few self-made businessmen among world-class young entrepreneurs. 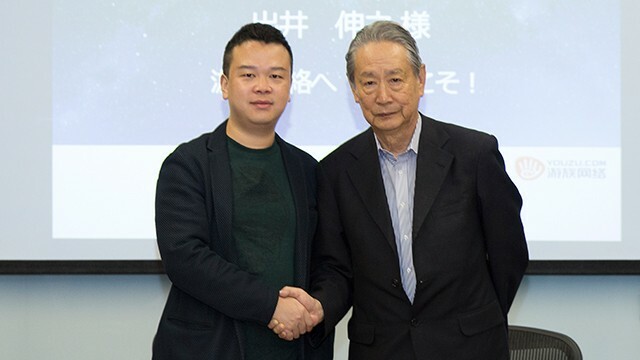 He told Idei that Youzu Interactive is currently involved in games, movies (Yoozoo Film) and related sectors in a move to first establish a strong presence. The company then plans to rely on the strong presence to expand into other sectors. As both China and Japan are Asian countries, they have many similarities in terms of cultural markets and the development of the cultural sector. 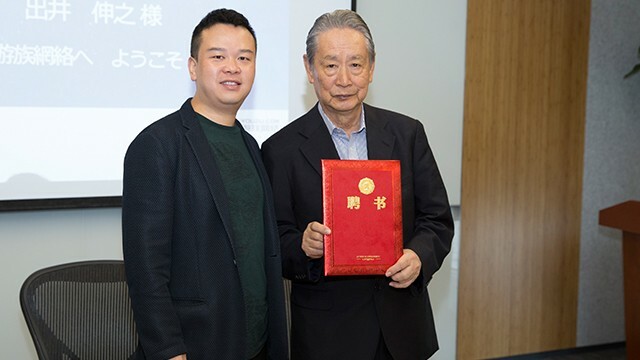 Having Idei on board as consultant represents the achievement of a great milestone as he can serve as a bridge for communication and cooperation between young entrepreneurs in China and Japan and lead them in terms of best practices for collaboration. Before the signing ceremony, Idei and a group of Japan’s leading young entrepreneurs, visited Youzu Interactive’s Corporate News Center, Innovation and Entrepreneurial Center, Player Experience Center, Employee Recreation Area and Cinemas, and watched the trailer of the science fiction film Three Body. Youzu Interactive’s dynamic energy, innovative strength and corporate culture impressed them. At the site of the signing ceremony, the two sides had a meaningful discussion about the current situation of games, animation, movies, cultural publishing and related industries in China and Japan and collaboration prospects after Lin presented the Consultant Appointment Letter to Idei. Youzu Interactive has remained focused on a global strategy that combines the development of intellectual properties and the application of big data. The company has an excellent track record in terms of global game releases. To date the company has successfully released its games in over 70 countries and regions. The website and mobile versions of the game, League of Angels, is a strong and defining illustration of how a Chinese game has succeeded in the global market. Since Youzu Interactive went public in June 2014 with the issuance of yuan-denominated ordinary shares (A-shares), the first game developer in China to do so, the company has been aggressively raising capital as a means to carry out its global deployment including projects in the film, animation and entertainment industries and the setting up of operations and offices in North America, Europe, Southeast Asia, in addition to other locations. The company plans to further develop partnerships in more countries and regions. In April 2015, Youzu Interactive and Google reached an agreement on cooperating on a Joint Business Plan (JBP). As part of the agreement, the two sides will form a partnership involving digitally integrated marketing, data mining and analysis on a global scale as well as overseas distribution of mobile games and similar products. Mob.com, acquired by Youzu Interactive, is the world's largest service platform for mobile developers and has been installed on more than 2 billion mobile devices worldwide. Yoozoo Movies recently announced that it will set up a subsidiary in Hollywood with the mission of bringing Hollywood movies to China and Chinese movies to North American cinemas in addition to carrying out research on the American film industry. Lin Qi emphasized during his comments, Nobuyuki Idei, in his role as consultant for Youzu Interactive, will be an important bridge for effective communications between young Japanese and Chinese business leaders, and is expected to assist Youzu Interactive in creating and implementing a new plan for the roll out of the firm's global deployment strategy. ABOUT YOUZU: Youzu Interactive is a global entertainment company specializing in game development and distribution. In June 2014, YOUZU Interactive was officially listed on the capital market, becoming the first domestic A-share gaming company in China. With a guiding principle of sharing simple joy, Youzu has brought multiple award-winning website and mobile games to users worldwide. Youzu’s global publishing platform is known as Gtarcade.